Please join us for a complimentary webinar that will offer observations and ideas for boards of non-financial services companies and their audit committees to consider in this challenging climate. 1. What major challenges will businesses face in 2012? 2. 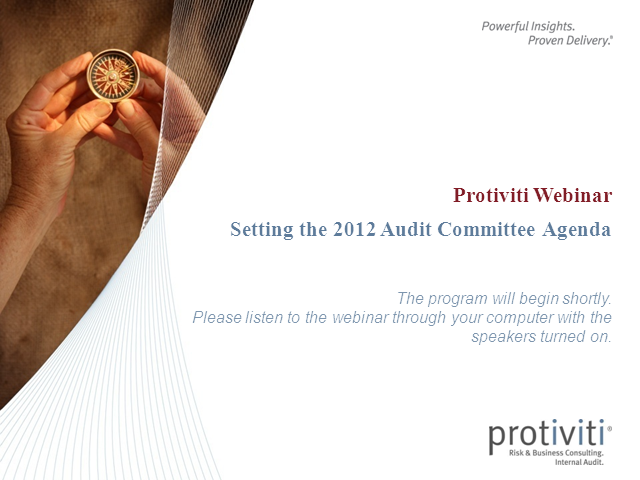 How should the 2012 audit committee agenda respond to these challenges in terms of areas to focus on? 3. Commentary on how boards are addressing major business challenges.